212 All Day Cafe & Bar. Phoenix In Viman Nagar is the destination in Pune, loads of high-end shops are visited by huge amount of shoppers every single day. So where do these tired shoppers after buying to their heart’s content eat, the answer is 212 Cafe, one of the latest and trendiest chic restaurant to be opened here. Chic decor with an amazing alfresco section gives you a feel of luxury at an affordable price. Attentive staff, well-informed and courteous guide you to the best they have to offer. We were invited for a review last week but we had already visited this place earlier with a very good experience with our friends so we were quite excited for the next round. After arriving and making ourselves comfortable, we decided to order. The management had shortlisted the best of the dishes for us and it was looking quite good. The meal started with Mexican Tomato Bean soup and Rising Sun Mocktail. The Buffalo Chicken wings were juicy, tender and bang on the taste. Gambas Caliente, pan tossed shrimp, spicy garlic was well prepared and presented. We have a soft corner for Shrimps. Red snapper with Brocoli was fresh, succulent and the sauces gave it the right flavor. Truffle and Roasted Garlic Hummus was perfect. 212 roast chicken was easily one of the best dishes of the evening. Juicy, perfectly marinated chicken melting in your mouth. Penne sun-dried tomato cream was just right. 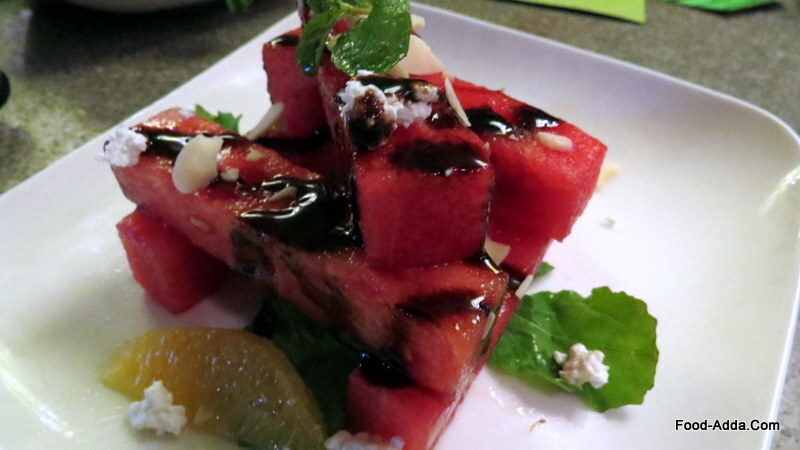 Watermelon and goat cheese stack is a must try for everyone. 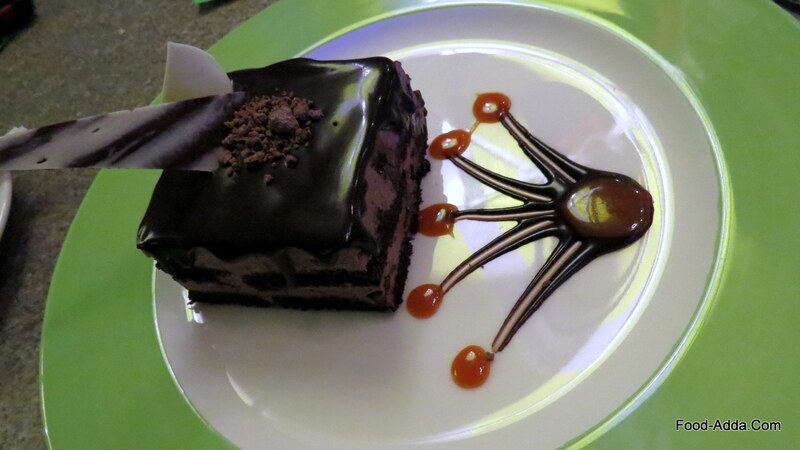 Triple mud pie cake was the winner of the night. Overall would we go back? Definitely we would. A heaven for tired shoppers, couples and family alike. A must visit if you have not been there yet. This entry was posted in 212 All Day Cafe & Bar Pune and tagged #foodaddaindia, #Pune #Food #Drink #Nightlife, 212 All Day Cafe & Bar Pune, bloggers, food, food photography, photography, pune restaurants. Bookmark the permalink.